Custom thermoforming serves a variety of industries. Its versatility is due to the process, which can work with a variety of plastics. Focusing on molding heated plastic, thermoforming is a growing industry serving many other industries, from healthcare to technology. Packaging systems can communicate value to customers. 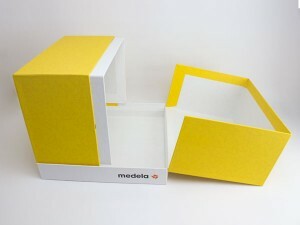 Custom thermoforming is an ideal solution that protects and organizes materials, creating a great experience for users. The aeasthetics don’t stop there, with a variety of plastics used for thermoforming. These plastic thermoforming materials each have their own qualities and benefits. Here’s a rundown of some of the materials with which we work at Sunrise Packaging (Blaine, Minnesota). PET is a super-clear material, affording customers a great view of a product (we love it for custom vacuum-forming in retail packaging). Another reason why it’s popular? It’s easily recyclable. PVC is one of the strongest custom thermoforming materials, but just as malleable as any other. PVC is versatile in other ways as well. It can be translucent or colored, opaque or clear. It’s also recyclable, of course. PETG is a modified version of PET that turns it it into a cross between PET and PVC. It has a lower melting point than PET, and retains the strength and versatility of PVC. Noticing a trend? PET is a popular base for custom thermoforming. This version–RPET–is made from recycled PET. It’s slightly weaker than standard PET, though. Polystyrene is among the hardest and stiffest custom thermoforming materials. It’s a popular option for anything that needs to be punched or cut (think CD cases, smoke detectors, etc). These different materials each have slightly different benefits and uses. Depending on what you need from your packaging, Sunrise can recommend the perfect solution. Contact us today to learn more! It’s tough work to meet the various packaging requirements for the health and beauty industry, but thermoformed clamshell packaging is almost like a silver bullet. Both industries are pretty heavily regulated (yup, make-up packaging is regulated, too…and with good reason). Outside of the product itself, the packaging must meet certain requirements as well. The products cannot be ‘adulterated or misbranded.’ This means that they have to be safe for consumers according to the labeling. Depending on the product, this could vary widely. Depending on the FDA classifications, it might surprise you to learn what’s considered a cosmetic, a drug, a medical device, and more. Each have their own criteria to meet. Beyond the regulatory necessities of health and beauty packaging, producers have to be concerned with maintaining the integrity of the product over its shelf life. In this industry, customers love to see the product before they buy it. If it’s expensive, they want to check the quality. If there’s a color, they want to see it. Not to mention that these products are also fairly-high theft items. Package designers need to take all these factors into consideration. This style of packaging is custom formed to every product. It’s fully encased in place, in sturdy plastic. It can withstand the bumps of transportation and delivery. The plastic also ensures freshness of the product. Any factor that extends shelf-life is optimal. Plus, this might be something mandated from the governing regulatory agency. Clear plastic offers more benefits. It allows customers to see the product prior to purchasing. They don’t have to open it to see the size and shape, the color and any other features. It reduced the likelihood of damaged or opened product on the floor. Which in turn means less returned product for you. It also deters shoplifting. Thermoformed clamshell packaging isn’t necessarily difficult to open, but it does take a little more effort than cheap cardboard. Well, depending on the strength of the plastic and the determination of the shop lifter. And when it comes to labeling, custom printed inserts can meet that need. These inserts, encased within the plastic clamshells, can be personalized in any number of ways to meet the branding and regulatory needs of your product and organization. Thermoformed clamshell packaging is a popular option for many industries beyond health and beauty. Contact Sunrise Packaging today to learn more. In presentation packaging, it’s important for every thing to have it’s place..and for it not to shift in transit. It’s like a fisherman’s tackle box. If the lures and bait are all mixed it up, it causes chaos and confusion. Custom trays are the perfect way to contain products, samples, etc. in specific spots for consistency and expediency. 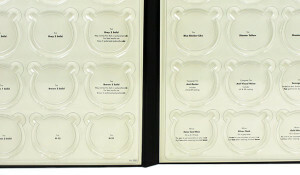 No matter what type of product or insert you want to include in your packaging, there’s a custom tray that will work. Trays can be used to keep marketing collateral in place in nearly any kind of packaging. 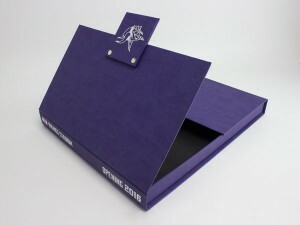 Custom pads, magnetic cigar boxes, binders, the list is endless when it comes to what Sunrise Packaging can heat-seal. –But chief among these benefits is the protection provided by custom thermoformed trays. From CDs to pamphlets to flash drives, it’s important that your materials arrive in pristine condition. The durable nature of custom trays ensures that whatever they encase will arrive without a dent or mark. They also defend against other potential contaminants, like liquid or water. Physical harm. It’s a wild world out there. Water and other liquids could ruin labels and packaging; your products could be jostled and chipped at any stage. Custom trays help lower the risk of these defects. Product fragility. Glass containers are beautiful and go a long way to convey luxury to customers. But it’s fragile. The same goes for some types of plastic containers, and a variety of products that can be easily crushed or their integrity otherwise compromised. Custom trays add a literal layer to safeguard against this kind of damage. Damage expenses. It’s true that there will always be some damage in transit, but it doesn’t have to happen frequently. It’s also necessary to plan for rough handling in package sorting. Thermoformed trays can help reduce the possibility of breakage. As well as the expenses incurred from damaged products. Custom trays are just one option when it comes to thermoforming. Custom forming is a service Sunrise Packaging provides according to customer requirements. Every project is unique and designed to your needs; the variety of options ensures that we can create the perfect solution! Ready to learn more? Contact Sunrise today! When it comes to thermoforming packaging, there’s more than meets the eye. It’s the ultimate in custom packaging, as the pliable plastic is molded specifically for products. This perfect fit is part of what is driving the market for this specific type of packaging. In fact, PRNewswire estimates that the thermoformed plastics market will hit over $16 billion dollars by 2015. Demand will increase from industries as diverse as healthcare to automotive to construction, driven by this style’s unique properties. So what’s so special about this style of packaging? Highly versatile as well as usable, thermoformed trays are precision-formed to provide the highest level of protection for products. They can even be created with a locking mechanism to ensure that nothing shifts or breaks in transit. These custom trays can be inserted and heat-sealed into boxes or binders to hold not only your products, but companion content as well. USB drives, discs, manuals, you name it. It’s important that your customers experience your products in an ideal setting, right? Custom thermoformed trays create that ideal setting, anywhere and everywhere. Originally used for packaging aspirin, blister packaging is a lightweight, easy-to-open option for custom thermoformed packaging. 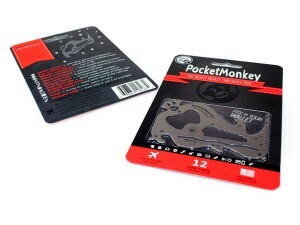 Blister packaging is comprised of clear plastic housing your product and adhered to a backing like cardboard or foil. While the idea of easy-to-open packaging might not be at the top of your list of considerations, it’s proving to be a main motivator for some shoppers. Driven by the aging baby boomer market, usability is an increasingly large concern, especially for healthcare and medical devices. Clamshells are an increasingly popular option for items that customers want to see before buying. For obvious reasons, it’s not always in the best interests of retailers and producers to have customers opening their products, fidgeting with them, and then walking away. By encasing products in clear plastic, customers can see the exact product they’re looking to purchase. And by making the packaging securely tamper-proof, they know that it’s in perfect condition. 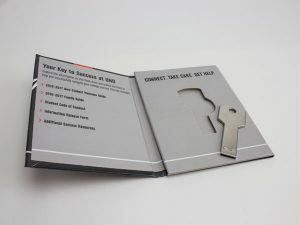 We recommend adding a printed insert as well for your branding and more marketing real estate! Minnesota’s Sunrise Packaging has years of experience in this market. Contact a representative today to find out what style can work for your product! The unique needs of different industrial markets can be daunting. If it’s a product shipped overseas, there are international regulatory standards. Some might include considerations of sanitation, creating a completely sterile environment, and more. Luckily, we have something up our sleeve that can usually meet these needs: thermoformed blister packaging fits the bill. What is Thermoformed Blister Packaging? The connection between thermoformed blister packaging and use in the medical industry goes back to 1947. Basically, when blister packs were created to house aspirin. While its usage has expanded past storing tablets, it is still a popular option in the healthcare industry. To create blister packs, plastic is heated and molded to form cavities and adhered to a stiff backing, like cardboard. 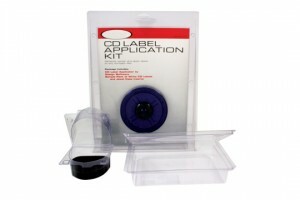 The product is then encased and protected in this form-fitting, see-through environment. The surface adds a level of security as well as marketing opportunities. Due to its secure nature, thermoformed blister packaging is relatively tamper-proof (at least, it is very easy to tell when a product has been disturbed or ripped open). 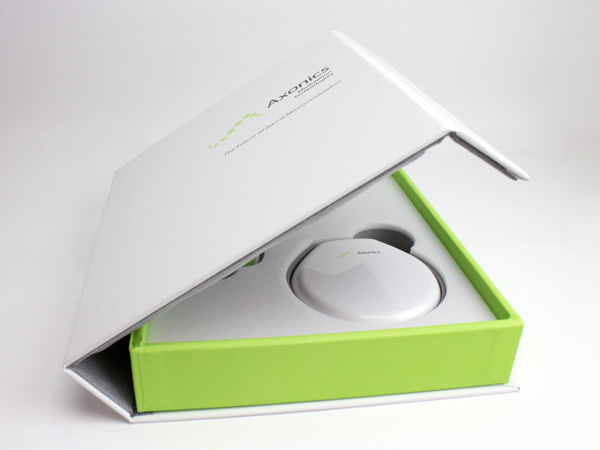 This takes on especial importance when it comes to healthcare packaging. While thermoformed blister packaging was originally designed to hold aspirin tablets, it is also used for medical devices themselves. As we mentioned above, housing devices in a sterile environment is of paramount importance in healthcare. Professionals need to have confidence that their tools are ready for use in any emergency…and if there is any evidence of tampering, they can make a quick decision to use a different one. Blister packaging allows for those evaluations without intense scrutiny. Additionally, blister packaging can be extremely lightweight. This means that products can move easily into depressed regions from acts of nature, war, or any other disaster. Moving quickly in an emergency means that any packaging needs to be quickly identifiable and removable as well. The clear product display aids the former; a variety of easy-to-open backings make the latter possible. It’s a popular choice for all the above reasons, but we also love that it provides a surface for enhancing the product itself. Customers and users cannot only see the product (and without messing with the packaging), but companies can call attention to certain features or interesting aspects of the product. Like the specific features that set yours apart from the competition. Whatever your industry, thermoformed blister packaging provides a great platform to consider for your product. Contact us today to get started! Thermoformed clamshells are one of the most versatile styles of packaging. Particularly for retail products because they can be shelved or hung in an area. While blister packs work well for smaller, lighter things, clamshells have more capacity for heavier items. This is because of their construction. We explained blister packaging as plastic that is heat-sealed onto a separate backing. Think of how eyeshadow is commonly packaged in drugstores: the compact is slightly open, allowing consumers to see the colors. But it’s held securely in place through the thermoformed plastic, and stuck to a piece of cardboard. This allows the customer to open easily from the back after purchase. Clear evidence of tampering. With the plastic wrap-around feature of clamshells, it’s easy to see when a package has been opened or if a product has been broken. This aids in quality control and also gives the customer a clear idea of what they’re purchasing. Increased customer satisfaction. We’ve all been in a situation where we purchase something, get it home, and realize that it’s not exactly what we thought. The color might be slightly off, or it’s a different size than expected. With thermoformed clamshells, customers can literally see the product from all angles. It allows them to be completely sure of what they’re buying, without any surprises or compromises on their part. Enhanced protection for products. The plastic, perfect formed and contoured to the product, acts as a shield during transport and rough handling. It keeps products safe, in place, and perfect for retail presentation. The fun doesn’t have to stop with the thermoformed clamshells. As a full-service facility, Minnesota-based Sunrise Packaging can help you create paperboard inserts (or other materials). These fit inside the clamshell, like the image above. It offers you another platform to enhance the product as well as bring in your branding and carefully-considered copy. Whatever your packaging needs are, Sunrise can create the perfect package for you. Contact us today! When it comes to packaging, there’s a lot of emphasis on the outside. Think of a birthday present. If two presents are placed in front of you–one with a sleek, crisp package, the other in a paper bag–which do you want to open first? While the outside of the packaging might be what attracts customers in the first place, it’s what’s inside that retains them. This is where thermoformed trays take center stage…or rather, they provide the center stage. Thermoformed trays are essentially plastic trays, heated and molded into custom shapes and sizes to ensure that your products are held firmly in place. They create a veritable stage for your products. Trays can be placed inside nearly any kind of container, from the popular cigar box to a turned-edge binder. It’s a versatile solution that many industries include in their packaging designs. To go back to the birthday present example, the only thing more disappointing than a poorly-wrapped present is a broken one. Thermoformed trays are customized to your product, ensuring that it is secure within the larger package. Healthcare packaging and medical device packaging typically utilize thermorformed trays for safety reasons. This industry, focused on life-saving tools and equipment, needs to have their tools safely stored in place where it’s easy to find and use them. Whatever you happen to be packaging with your product, thermoformed trays can keep everything in order. Trays allow you to help customers move through products sequentially.Oor if there are other inserts, to ensure that the most important or relevant ones are easily accessible. Thermoforming is a highly-customizeable process. It starts with designing a layout for your product, selecting materials, and finally moving into the final stages of your custom packaging needs. Whether you are looking for sustainable, economical, or something else, Sunrise has a solution. Get started today. Nearly 27% of the population of the United States was born between 1946 and 1964. Termed the Baby Boomers, this generation has stampeded its way through the decades and are now arriving at retirement age. While aging typically indicates health decline, this generation is bucking that trend (or segments of them are). They're eating better, exercising more, taking preventative measures designed to help them not only live longer, but have a higher quality of life as well. Their expectations are higher than previous generations; baby boomers also tend to have more money and are generally wealthier. They want the best--and they can probably pay for it--in their products, and that includes medical packaging. The enormous influence of the baby boomer generation reflects its size and spending power. Their needs regarding medical packaging are unique to the industry; they love new and innovative styles, but still need to have ease of opening. Think of a bottle of aspirin. It's a common joke, but sometimes the childproof lock defeats adult logic. Add in arthritic hands and possibly declining mental state, and pill-sized pain relief becomes an insurmountable task. For the product above, Sunpack created a box with light magnetic closure. This ensures that it won't open accidentally but is easy enough to slip open when needed. The design of the medical packaging is important as well when it comes to the user's ability to remove it from the package. In the aspirin example from above, it's easy to shake out too many and lose some of the medication. It's not a huge factor with something relatively low-cost, like aspirin, but becomes exponentially more important with the medicine itself. 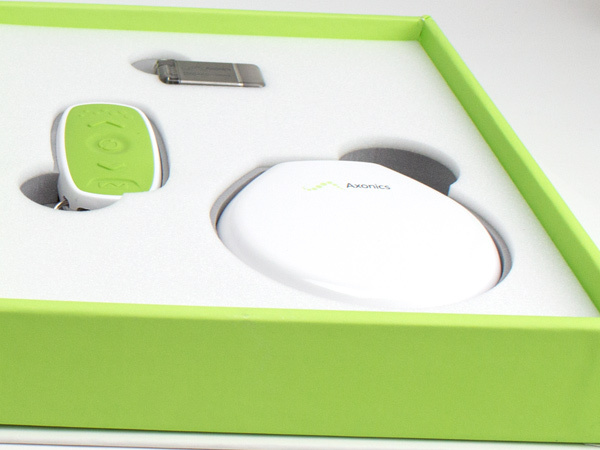 Being able to package an actual device, such as the Axionics device in the picture, securely is step one. Step two is creating a tray which can not only securely hold the device, but allows for semi-easy removal. The thumb holes around each part of the device help ensure a firm grasp prior to lifting. Vision is another consideration for medical packaging designed for baby boomers. Naturally, as we age, our vision tends to decrease. Medical packaging needs to be clear and concise in design as well as content. Devices need to be easily identifiable, but that doesn't mean devoid of creativity. For Axionics, you can see the design is deceptively simple, elegant, and with simple fonts to aid comprehension. While white is the dominant color within the design, choosing a bright, single accent color reduces visual clutter. This consumer segment is looking for brands that will help them take care of themselves and better their lives, without constantly reminding them that they aren’t actually as young as they think they are. Packaging is great way to connect with an audience. It not only entices people to try it, but if it offers a pleasurable experience, it guarantees referrals and repeat business. Sunpack can help design products that meet this need for your products. What is a Designer Box? Let’s start with what a designer box isn’t: plain cardboard. If you’re shipping out blouses, candy, promotional material, or whatever in uninspired packaging, you might as well be replace the word FRAGILE with DON’T BOTHER OPENING. But why? A box is a box is a box, right? False. If that were true, everything you ever ordered online would arrive as though it were homemade cookies from your great aunt: cardboard, duct tape, and a scribbled address. But companies don’t spend all this time and money on cultivating top-tier products just to have them look like something you bought from somebody on eBay. Sure, there’s lots to love about corrugated. It’s cheap, padded, and disposable…but are those really words you want associated with your product? Even e-retailers are being told to “ditch the brown box” by experts. Frankly, it’s a little on the boring side. Not to mention, it’s hard to establish brand identity with a box that looks like everyone else’s. Which brings us to the designer box. Like designer anything, a designer box has features. It could be a unique opening, something outside the standard top flaps. Maybe it’s shiny foil trim, gold or silver. Perhaps it’s embossed handwriting, magnetic clasps, or a flocked interior. Maybe it’s all of the above. One place to start is packaging that is rigid. This means the walls of the box are assembled using chipboard, a condensed form of cardboard that mimics the stiffness of thin particleboard. You might have experienced this type of packaging in smartphone packaging, or even with high-end board games. The result is more durability and, ultimately, reusability. That’s another designer difference: boxes can be eco-friendly as the day is long, but reusable packaging is smart packaging. It’s multifunctional, and therefore valuable. Pop quiz. What’s the better choice for bagging your groceries–paper or plastic? The answer is actual secret option C, a reusable bag. No matter the material, disposable products still contribute to waste. As with most things, it’s important to remember your audience. Or maybe, recipients in this case. If your product is an all-organic, environmentally-minded soap, you might not want to include all the bells and whistles on your packaging. (You might not want to have packaging at all, but good luck with that at retail.) In this case, you might want to opt for the cardboard box. But that doesn’t mean you can’t spruce it up–even eBay knows that. And it’s totally possible with soy-based inks and water-based coatings. But for items with a higher price tag (think: electronics, tools, clothing), don’t you want packaging that matches the quality of your product? More than that, don’t you want the security and storage that comes along with designer packaging?